All photos courtesy of 50 Bowery. 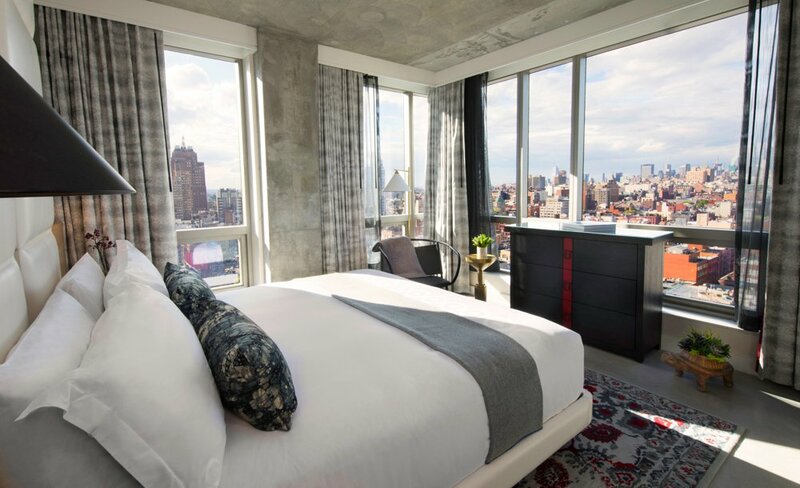 NEW YORK CITY – Though lower Manhattan has never been at a loss for nice hotels, Chinatown proper has long been short a cool boutique. 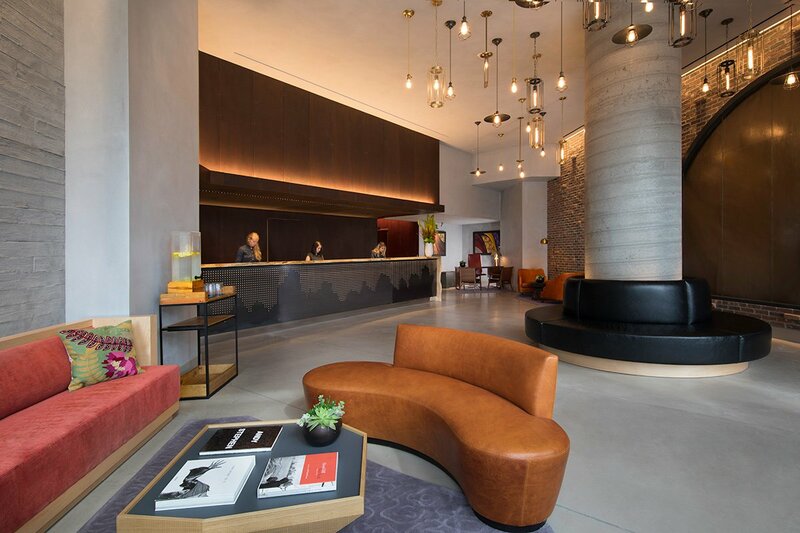 Enter 50 Bowery, Joie de Vivre’s first property in New York City, located at the heart of downtown’s oldest thoroughfare. Much like the surrounding area, the hotel is a melting pot. There's a bustling pan-Asian restaurant in the lobby. 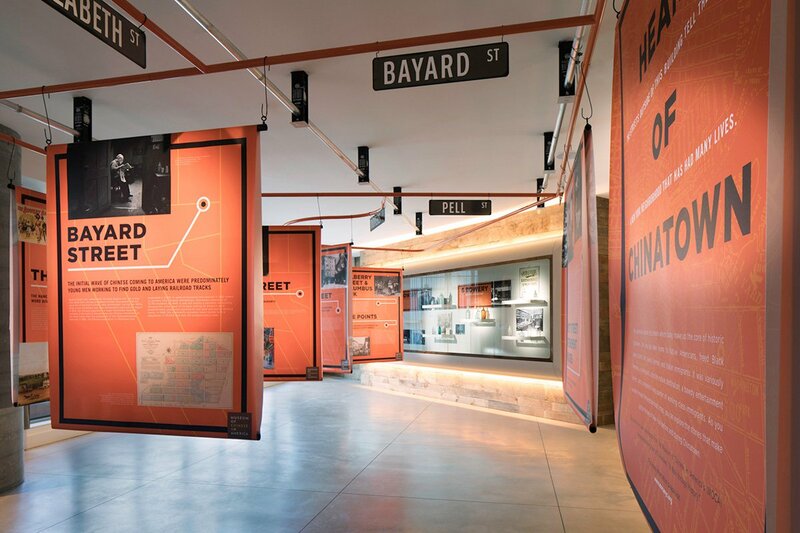 The permanent exhibition space on the second floor spotlights historic photos of Chinatown supplied by the Museum of Chinese in America. Industrial design elements come face-to-face with Chinese influences throughout: You'll see pops of red everywhere (a lucky color), but no fourth floor (an unlucky number). And the views — from the rooms and the rooftop bar — can’t be beat. Rates change seasonally and start at $169. , or the and we can plan your trip for you. Style: Very new-school Chinatown. Wimberly Interiors mixes contemporary design touches, like repurposed wood elements and Edison lightbulbs, with street art from local artist Ewok One in the lobby. In the hallways, lanterns and graffiti from Beijing-based artist Dake Wong evoke the Far East. Standout Detail: The view. This place towers above low-rise lower Manhattan. 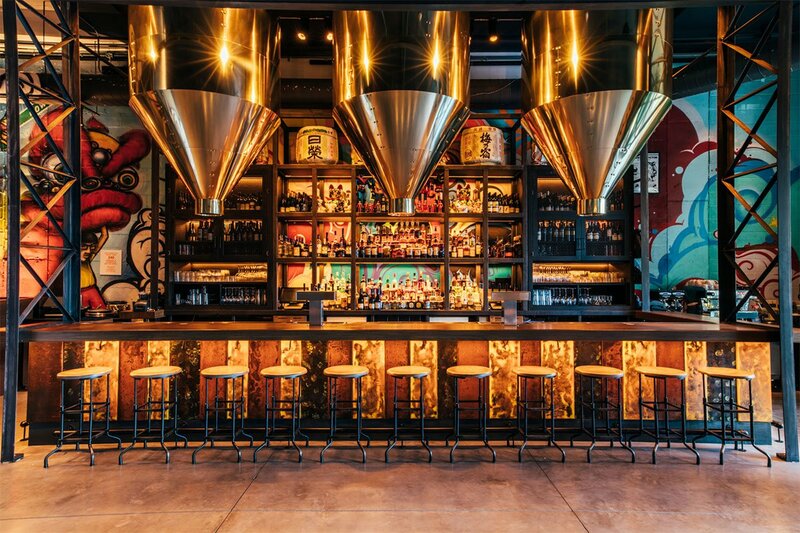 This Place Is Perfect For: Hip travelers who want easy access to Chinatown, Little Italy, and the Lower East Side. 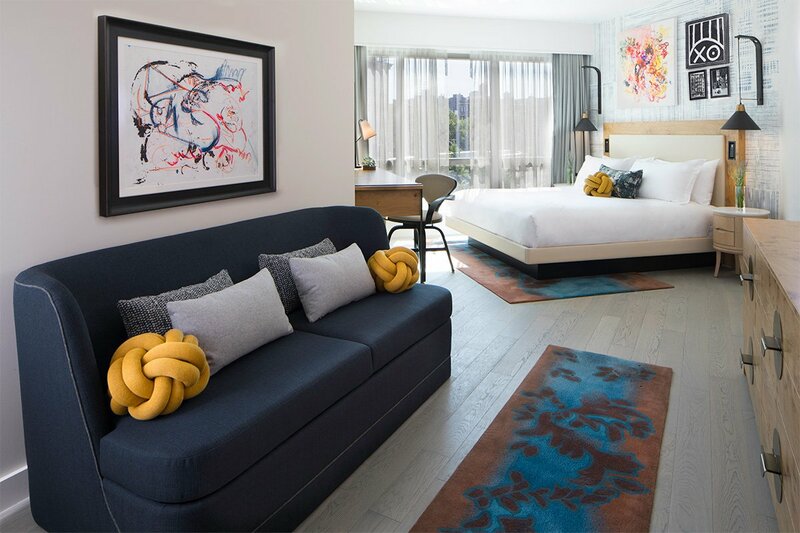 On Site: A gallery space and hotel-wide art collection curated by Exhibition A, which was founded by fashion designer Cynthia Rowley and gallery owner Bill Powers, as well as a fitness center and free WiFi throughout. 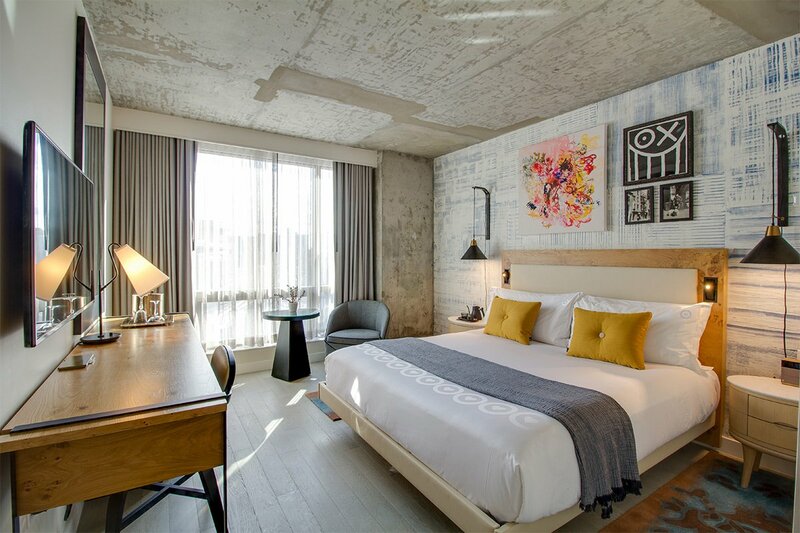 Rooms: Bright and airy rooms adorned in curated art and colorful accents have industrial concrete floors and ceilings, personal steamers in the closets, and floor-to-ceilings windows, some of which sport incredible city views. Food + Drink: Rice and Gold on the ground floor serves pan-Asian specialities for breakfast and dinner daily and brunch on weekends. The space — which has a bar, plenty of seating, and cool art throughout — is a scene. 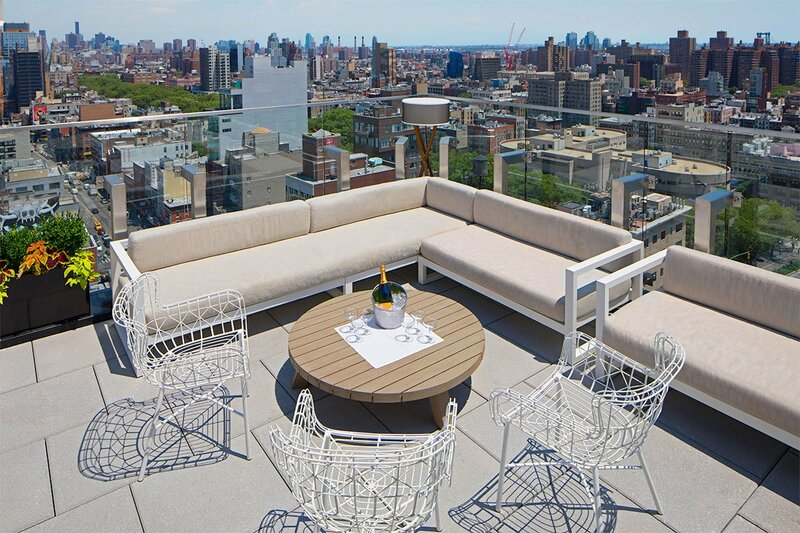 The Crown rooftop bar does Asian-inspired cocktails, small bites, and bottle service against a very scenic downtown Manhattan backdrop. A deluxe king guest room. A grand king guest room. A city view guest room. You’re in the heart of Chinatown: Go eat. There are certainly no shortage of places to try. Old-school spots like (banquet hall dim sum) and the original (diner-style dim sum) rub elbows with newcomers like , , , and . Great bars abound: , , and are just a few area classics. Since you’re so close to the action, a spontaneous stroll that takes you across the bridge into Brooklyn, further south toward the World Trade Center, or west into SoHo for shopping would be an excellent use of time.